We have moved to Idaho. Photos are available for the two remaining puppies upon request. We are without internet and are using library services to just update the text. Hello all!! We are so excited right now! We are presenting our "D" Litter. Looks like Bella has given us seven new, healthy, happy puppies to share with seven lucky families. I do have a waiting list and I hope that I sent them all their annoucements. If you have not heard from me, please send me an email. That is the easiest way to get a hold of me. Also, please read the contract. We are taking deposits now! See the contract page for information. 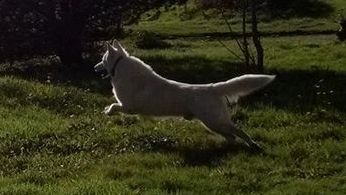 White Shepherds are great to have as your family pet. 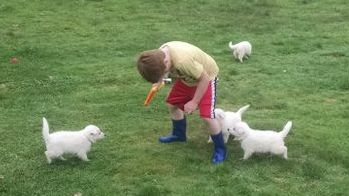 They are great with kids and other animals, and love to play - rain or shine. Easy to train for someone looking for a 4H dog too. Super easy to socialize; ours only bark when necessary. 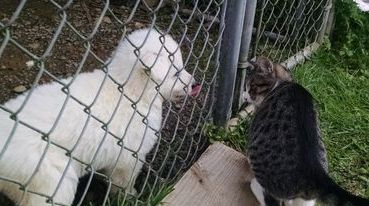 Ours have been raised with cats and other dogs as well. These are extremely nice dogs who get along with everyone. 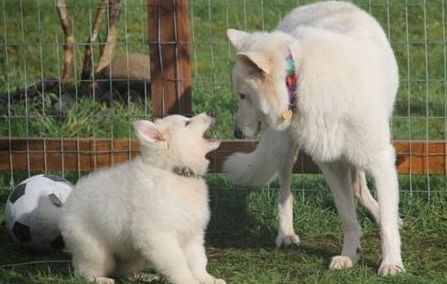 I know they look cute, but did you know that White Shepherds can be trained to protect your home and your family? They are easy to train and have been used in Schutzhund training. What better home protection than one of these amazing animals? 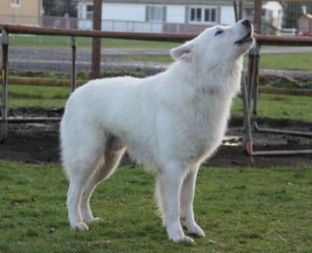 The White Swiss Shepherd is loyal and loving at the same time. It is time to add one of these to your family! Meet Argos of Surefire he is a great guy who loves to cuddle. He is loyal and protective, too. He likes to take walks. His strong line comes from his Flash-Thunder des Gardiens du Pacte (sire) and his Zelmarian Helimadoe Taine (dam). He was born April 10, 2013. Meet Bella of Surefire who comes from Oslo of White Energy (sire) and Fever-Forever des Gardens du Pacte (dam). Bella was born January 6, 2014. She has a great sense of humor and is our princess. She is super sweet and likes to play outside. 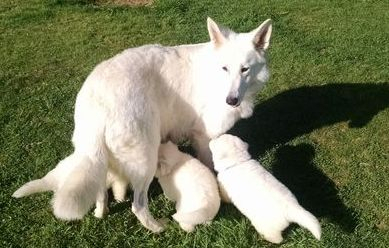 Her first litter of puppies are on our "puppies" page.